Tybourne Capital Management is a Hong Kong-based hedge fund managed by Eashwar Krishnan, former Asia head of Stephen Mandel’s Lone Pine Capital LLC. The so-called long/short fund bets on rising and falling stocks. It was launched in mid-2012, and managed to return 16.04% in 2013, its first full year of operation. Tybourne last disclosed (for the second quarter of 2014) an equity portfolio with 11 stocks with a value of more than $1 billion, focused on consumer discretionary companies (47.4%). In this article we will take a look at its top three holdings for the quarter: Amazon.com, Inc. (NASDAQ:AMZN), Yelp Inc (NYSE:YELP) and Netflix, Inc. (NASDAQ:NFLX). The fund’s largest bet was placed on Amazon.com, Inc. (NASDAQ:AMZN), the $157 billion market cap online retailer. Following a 31% increase in its stake in the company, Tybourne Capital Management owns 583,225 shares of Common Stock, worth more than $189 million. This position accounts for roughly 17.5% of its equity portfolio’s total value. 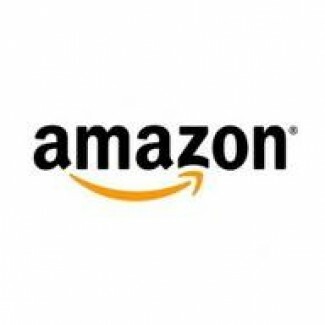 Also bullish on Amazon.com, Inc. (NASDAQ:AMZN) is Ken Fisher’s Fisher Asset Management. As the largest hedge fund shareholder of record –amongst those we track, Fisher owns 2.46 million shares of the online retailer, worth more than $800 million. A few months ago, Amazon.com, Inc. (NASDAQ:AMZN) announced its intentions to have its deliveries made by drones (unmanned aerial vehicles). Although current FAA rules restrict commercial use of drones, the company is seeking an exemption. Check out Amazon’s July 9, 2014 letter to the FAA, here. If the permission is not granted, the company will move its drone R&D operations outside of the U.S., in order to continue to push the technological frontier. Second in Mr. Krishnan’s list is Yelp Inc (NYSE:YELP), a $6 billion market cap company that operates local search websites that connect people with local businesses. Over the second quarter, Tybourne Capital more than doubled its exposure to the company, and now owns 2.43 million shares, worth more than $186 million – which also account for more than 17% of the fund’s total equity portfolio. This bet makes it the largest hedge fund shareholder in our database, trailed by Donald Chiboucis’ Columbus Circle Investors, which last disclosed ownership of 1.34 million shares. Netflix, Inc. (NASDAQ:NFLX) came in third. The $28.3 billion market cap internet television network saw the fund start a new position, with 246,410 shares of Common Stock, over the second quarter. This stake, worth more than $109 million, accounts for roughly 10% of the fund’s total equity portfolio. Even larger is Philippe Laffont’s Coatue Management’s bet. Its 2.08 million shares are worth almost $1 billion. Analysts expect Netflix, Inc. (NASDAQ:NFLX) to deliver average annual EPS growth rated around 31%-32% over the next five year, doubling the 16%-17% industry average, so considering it as a long term investment, despite its stellar valuation, might not be a bad idea. Dislcosure: Javier Hasse holds no position in any stocks or funds mentioned.